The J.R.R. Tolkien biopic is headed this way soon. Fox Searchlight confirmed on Thursday, January 17 that the project, tastefully titled Tolkien (say that five times fast), has a set release date. Starring The Favourite actor Nicholas Hoult as the famous author in the days before he penned The Lord of the Rings, Tolkien will arrive in theaters on May 10. This news comes to us courtesy of Entertainment Weekly. In addition to announcing when Tolkien will take to screens this year, Fox Searchlight also provided summary of the forthcoming biopic's story. Tolkien will take place during the author's formative years, just before World War I, when he was "an orphan who found friendship, love, and artistic inspiration among his group of school friends." On July 15, 1915, Tolkien was commissioned as a stand-in second lieutenant in the Lancashire Fusiliers, and throughout his time serving in the war — "in the trenches of France and the battlefields of the Somme" — he "experienced both the horror and solidarity of war firsthand." But it wasn't just the brutality that roused something in Tolkien, incited a response from the young man — it was also witnessing "men of different backgrounds fight and die together" that inspired what would become his magnum opus. After demobilizing and leaving the army in 1920, Tolkien took up a career in writing and academia, using his experiences on the battlefield and his memories with his "original group of friends, many of whom died in the Great War," to write The Fellowship of the Ring, the first installment in his Lord of the Rings novel trilogy. Finnish filmmaker Dome Karukoski directs Tolkien from a script penned by David Gleeson and Stephen Beresford. Joining Holt for the film are To the Bone actress Lily Collins as Edith Bratt, Tolkien's long-time love and later wife, who inspired the romance between Beren and Lúthien in his The Silmarillion; Tom Glynn-Carney as Christopher Wiseman, one of Tolkien's friends; Anthony Boyle as Geoffrey Bache Smith; Patrick Gibson as Robert Q. Gilson; Colm Meaney as Father Francis Morgan; Craig Roberts as Sam, one of Tolkien's war mates; James MacCallum as Hilary Tolkien, Tolkien's younger brother; and Pam Ferris as Mrs. Faulkner. Biopics normally generate lots of buzz — both from professional critics who are eager to dive into the work and analyze just how well the film is made, and from fans of the film's subject who are interested to see how accurate the story is and how careful the characterizations are. Tolkien should be no exception, particularly with sterling stars like Hoult and Collins leading the way. The subject matter, a young Tolkien serving in the war prior to beginning the career that would make him a household name, actually sounds quite similar to another biopic about a famous author — one in which Hoult starred as the man himself. That is, of course, Rebel in the Rye, the film that chronicled The Catcher in the Rye novelist J.D. Salinger's personal and professional life before, during, and after World War II. Sadly, Rebel in the Rye tanked hard with critics (it sits at a 28 percent on Rotten Tomatoes) and at the box office (taking in just over $378,000 overall) but at least casual moviegoers didn't thoroughly loathe it. If Tolkien turns out a triumph, it could cancel out Hoult's misfire with Rebel in the Rye. 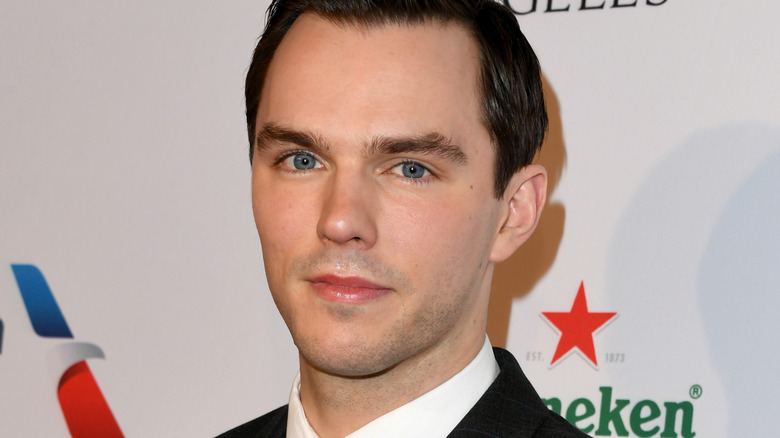 If it doesn't, well, Hoult might not be lodging any offers for leading roles in biopics from there forward. We're hoping the former ends up the truth. Tolkien is set for release on May 10.